The weather in Eastern Ontario this spring has been variable - which is an understatement! 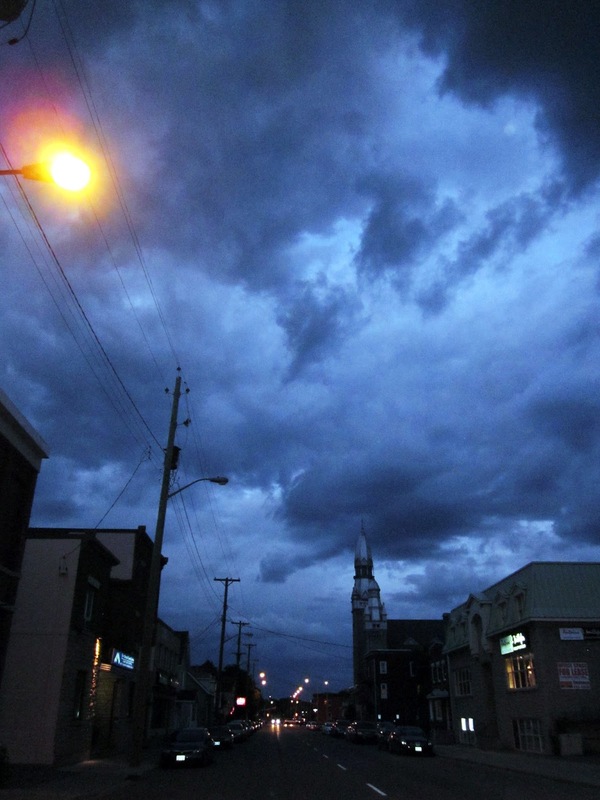 We have had lots of rainy days, then a few warm sunny days, then more rainy days. Today was of the sunny and warm persuasion. 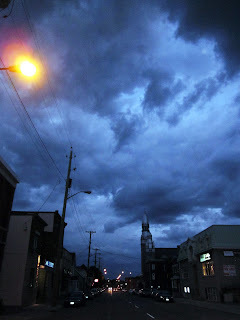 But this evening, as I was walking home, I watched as more rain clouds rolled in over the city. 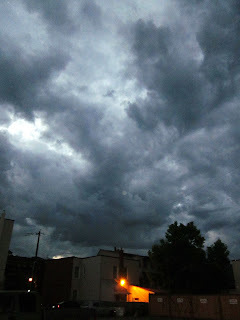 These clouds were quite dramatic. The sky is always fascinating to watch, no matter what weather it brings. I love the spot of orange in each of these photos - nice contrast!